On October 15 -16, the members of OPA Europe met at the offices of Le Temps in Lausanne, to discuss 'Innovations in Advertising' as it applies to their companies. Members examined growth channels such as mobile and video, programmatic and native advertising, as well as other topics related to advertising, including ad blockers and viewability. Our sponsor, Outbrain, presented their solutions to help publishers increase web traffic. OPA Europe wishes to thank Le Temps for the outstanding welcome and organization of the two days of meetings. Attending companies included Le Figaro, Le Monde, La Repubblica, El Mundo, El Pais, La Vanguardia, Corriere della Sera, Le Temps, Iogenia and Lambrakis Press. 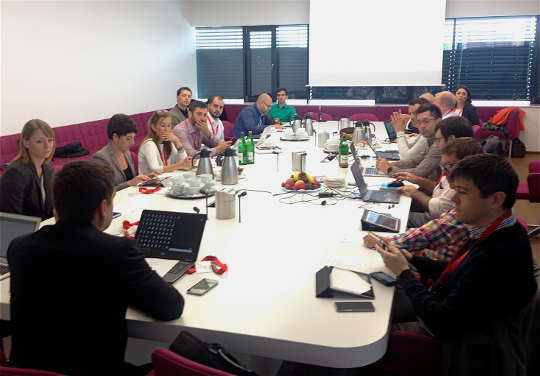 At its best practices meeting in Hamburg to be held in June 2015, OPA Europe members will focus on mobile strategies. Presentations, discussions and debates over the two days of meetings will examine mobile from every angle: content, advertising, platforms, etc. As usual, member and guest companies will report on performance metrics and key indices, technologies deployed and data analytics, promotion tactics and marketing strategies, advertising sales, issues of infrastructure and distribution, as well as human resources, and structuring and skills development questions -- all as pertain to mobile. 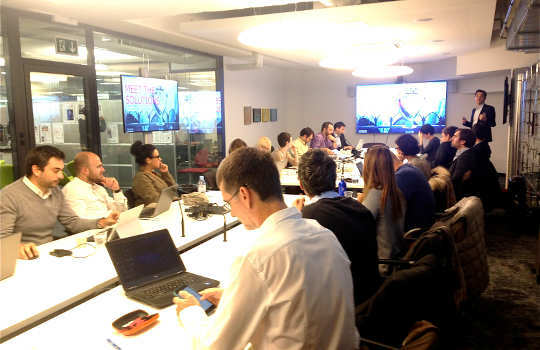 Attending companies include Le Figaro, Le Monde, Corriere della Sera, The New York Times, La Repubblica, El Mundo, El Pais, Spiegel Online, Vocento, La Vanguardia and Lambrakis Press. 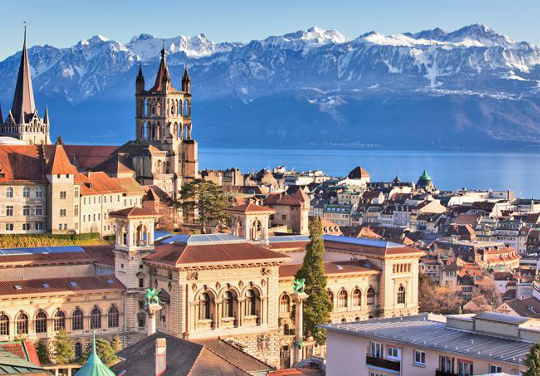 At its best practices meeting in Lausanne to be held in October 2015, OPA Europe members will focus on innovations in advertising. Presentations, discussions and debates over the two days of meetings will examine advertising from every angle: programmatic, viewability, native, etc. As usual, member and guest companies will report on performance metrics and key indices, technologies deployed and data analytics, promotion tactics and marketing strategies, advertising sales, issues of infrastructure and distribution, as well as human resources, and structuring and skills development questions -- all as pertain to advertising. Attending companies include Le Figaro, Le Monde, Corriere della Sera, The New York Times, Le Temps, La Repubblica, El Mundo, El Pais, Spiegel Online, Vocento, La Vanguardia and Lambrakis Press. 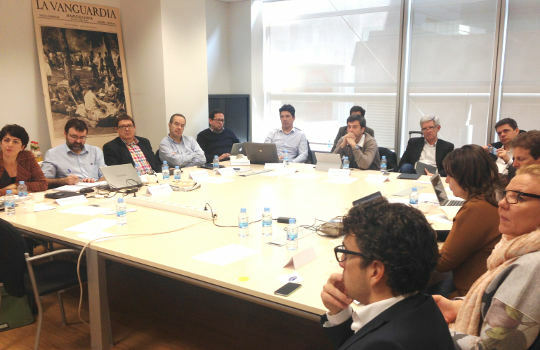 On March 12 - 13, the members of OPA Europe met at the offices of Grupo Godó in Barcelona, to report on company activity in the area of paid content. Members examined products and services, charging methods, pricing, metrics, advertising, marketing, technology and distribution, as well as other topics relating to monetization. Our sponsor, Price Waterhouse Coopers, presented how their framework helps publishers meet the challenge of online paid content. OPA Europe wishes to thank Grupo Godó for the outstanding welcome and organization of the two days of meetings. Attending companies included Le Figaro, Le Monde, Die Zeit, Dagbladet, The New York Times, La Repubblica, El Mundo, El Pais, Vocento, Corriere della Sera, La Vanguardia, Iogenia and Lambrakis Press. 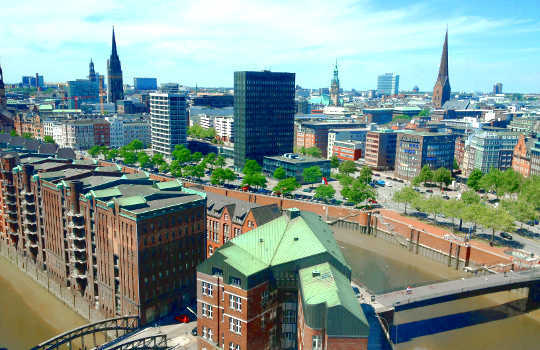 On June 25 - 26, the members of OPA Europe met at the offices Der Spiegel and Die Zeit in Hamburg, to report on company activity in the area of mobile publishing. Members examined mobile web vs. apps, smartphones vs. tablets, content and design, advertising sales, marketing and distribution, as well as other topics relating to mobile. Our sponsor, Netsize / Gemalto, presented their workshop on mobile strategy. OPA Europe wishes to thank Der Spiegel and Die Zeit for the outstanding welcome and organization of the two days of meetings. Attending companies included Le Figaro, Le Monde, Der Spiegel, Die Zeit, Dagens Næringsliv, La Repubblica, El Mundo, El Pais, La Vanguardia, Iogenia and Lambrakis Press.